Located at the heart of the Plaza Athénée Hotel in Paris, Alain Ducasse's gastronomic restaurant offers naturality cuisine. Étel is a commune in the Morbihan department of Brittany in north-western France. Lorient is a town and seaport in the Morbihan "department" of Brittany in North-Western France. Lagrand is a commune in the Hautes-Alpes department in southeastern France. Immense, 18th-century palace with gilded apartments, chandeliered Hall of Mirrors & fountain show. James Beard Award-winning chef Alain Ducasse shows off his newly refurbished restaurant and explains his triumphant and radical return to the Paris foodie scene in this video directed by Simon Pénochet. The chef also explains his foray into natural cuisine by adopting the fish-vegetable-cereals trilogy. This video is a passionate and oh-so-foodie-friendly presentation of contemporary French cuisine that takes us from sea (and tree) to table. Along the way, meet Gilles Jego, a fish merchant; Gisele Taxil-Wardell, a farmer; Gilberte Taxil, an organic chickpea producer; Alain Baraton, the head gardener at Versailles; Romain Meder, executive chef at Plaza Athénée; and Patrick Jouin and Sanjit Manku, the restaurant's designers. See how they all work together to make your delectable meal possible. 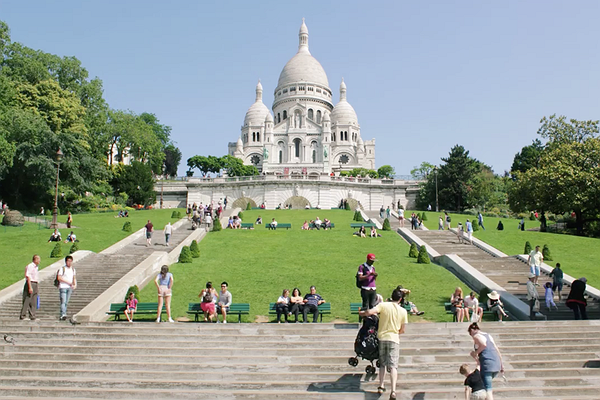 Want to keep in mind this beautifully delicious place for your next visit to Paris? Pin it to your profile map!